Renée Feltz is an award-winning investigative journalist who covers immigration and criminal justice. She was a longtime senior producer for Democracy Now! and has also reported for The New York Times, The Guardian, The Intercept, Mother Jones, Rewire, The Nation, The Texas Observer, The Indypendent, and elsewhere. 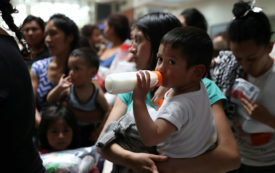 Facing a legal labyrinth, deported parents may be forced to leave their children behind so that they can seek asylum. 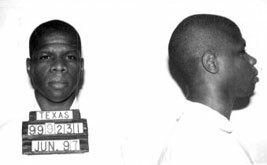 Texas jurors were told that convicted murderer Duane Buck posed “future dangerousness” because he is black. He was scheduled to die on September 15 but received a last-minute reprieve. As the Obama administration tries to salvage the Secure Communities program, governors and advocates alike are calling it what it is: racial profiling. Salvador Licea shares his experience with the ICE Secure Communities Program.